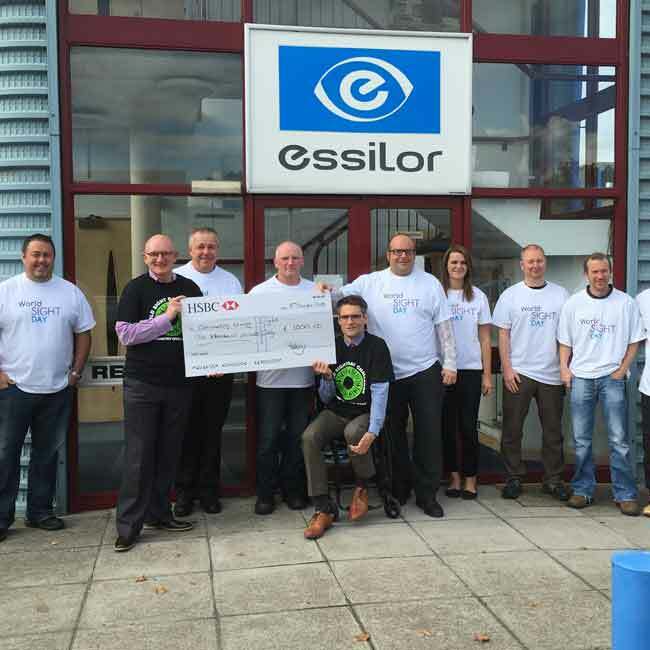 Essilor staff from the company’s manufacturing facility in Thornbury handed over a cheque for £1,000 to Optometry Giving Sight from funds raised by completing a ‘Three Peaks’ climbing challenge. Eighteen people undertook the adventure which involved climbing Scotland’s highest mountain Ben Nevis (1,344m), England’s foremost summit Scafell Pike (978m) and Snowdon, the tallest peak in Wales (1,085m) on consecutive days. Overall, the group raised £3,500, with Brain Tumour Support benefitting along with Optometry Giving Sight. 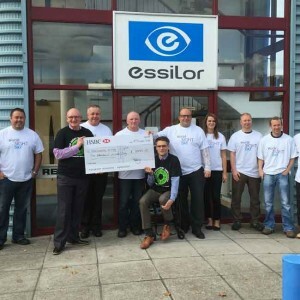 ‘We would like to extend our thanks to the team at Essilor — what an amazing achievement,’ said David Shannon, UK development manager for Optometry Giving Sight. ‘We are delighted to say the funds raised will support Vision Aid Overseas projects in its 30th anniversary year.